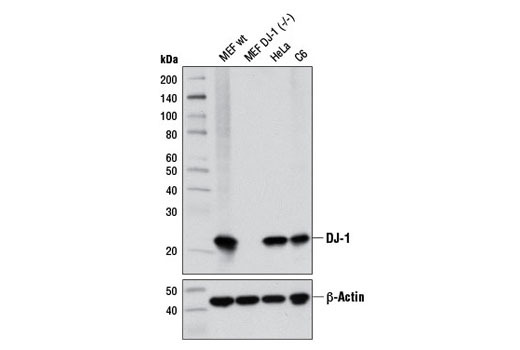 Western blot analysis of extracts from MEF wild-type, MEF DJ-1 (-/-), HeLa, and C6 cells using DJ-1 (D29E5) XP® Rabbit mAb (upper) and β-Actin (D6A8) Rabbit mAb #8457 (lower). (MEF wild-type and MEF DJ-1 (-/-) cells were kindly provided by Dr. Philipp Kahle, University of Tübingen, Germany). 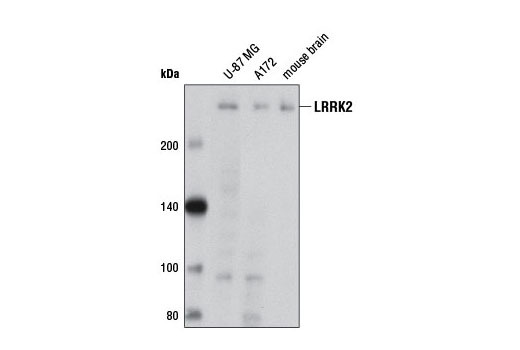 Western blot analysis of extracts from U-87 MG and A172 cells, and mouse brain using LRRK2 (D18E12) Rabbit mAb. 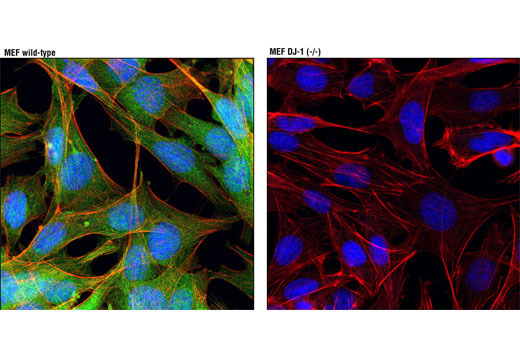 Confocal immunofluorescent analysis of MEF wild-type (left) or MEF DJ-1 (-/-) (right) cells using DJ-1 (D29E5) XP® Rabbit mAb (green). Actin filaments were labeled with DY-554 phalloidin (red). Blue pseudocolor = DRAQ5® #4084 (fluorescent DNA dye). (MEF wild-type and MEF DJ-1 (-/-) cells were kindly provided by Dr. Philipp Kahle, University of Tübingen, Germany). 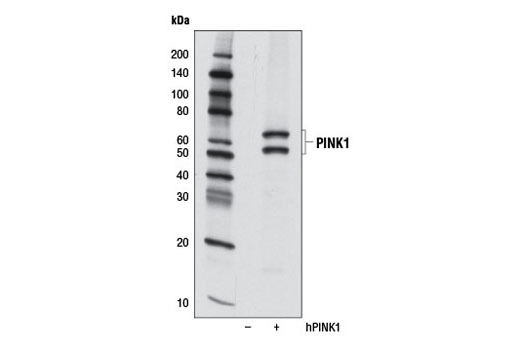 DJ-1 (D29E5) XP® Rabbit mAb, LRRK2 (D18E12) Rabbit mAb, Parkin (Prk8) Mouse mAb, and PINK1 (D8G3) Rabbit mAb recognize endogenous levels of respective target proteins. 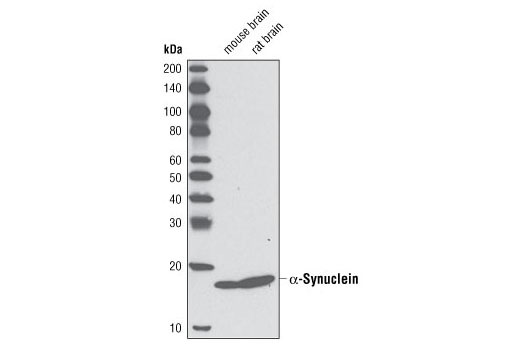 α-Synuclein (D37A6) XP® Rabbit mAb recognizes endogenous levels of the α isoform of synuclein protein. 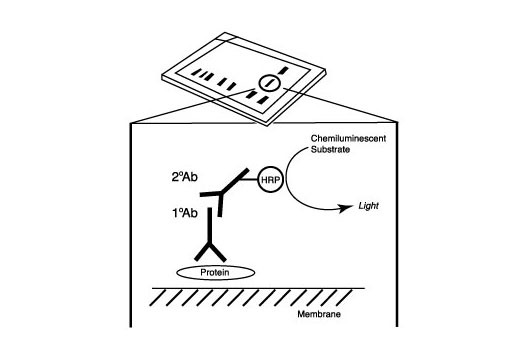 Monoclonal antibodies are produced by immuninzing animals with a recombinant protein specific to the carboxy terminus of Parkin protein, a synthetic peptide corresponding to residues surrounding Lys148 of human DJ-1 protein, a synthetic peptide corresponding to residues surrounding Pro2080 of human LRRK2 protein, a synthetic peptide corresponding to residues surrounding Pro140 of human PINK1 protein, or a synthetic peptide corresponding to residues surrounding Glu105 of mouse α-synuclein protein. Parkinson’s disease (PD), the second most common neurodegenerative disease after Alzheimer’s, is a progressive movement disorder characterized by rigidity, tremors, and postural instability. The pathological hallmark of PD is progressive loss of dopaminergic neurons in the substantia nigra of the ventral midbrain and the presence of intracellular Lewy bodies in surviving neurons of the brain stem (1). Research studies have shown that various genes and loci (α-synuclein/PARK1 and 4, parkin/PARK2, UCH-L1/PARK5, PINK1/PARK6, DJ-1/PARK7, LRRK2/PARK8, synphilin-1, and NR4A2) are genetically linked to PD (2). 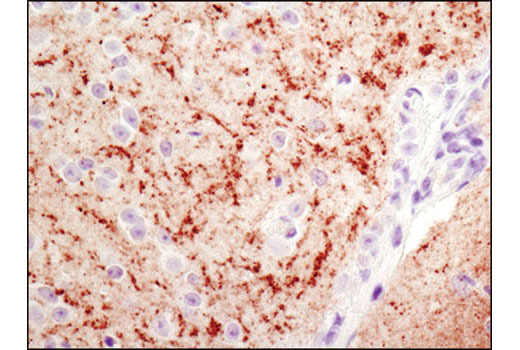 α-Synuclein, a 140 amino acid protein expressed abundantly in the brain, is a major component of aggregates found in Lewy bodies (3). 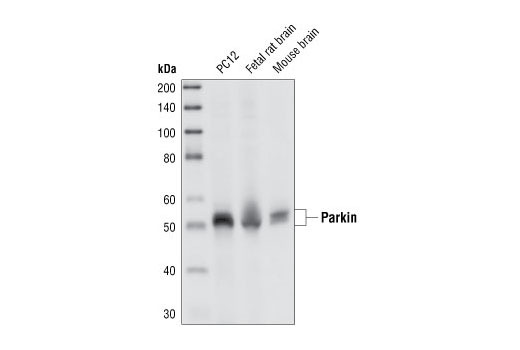 Parkin is involved in protein degradation through the ubiquitin-proteasome pathway, and investigators have shown that mutations in Parkin cause early onset of PD (4). In the case of autosomal recessive juvenile Parkinsonism (AR-JP), deletions have been found on chromosome 6 in the Parkin gene (5). 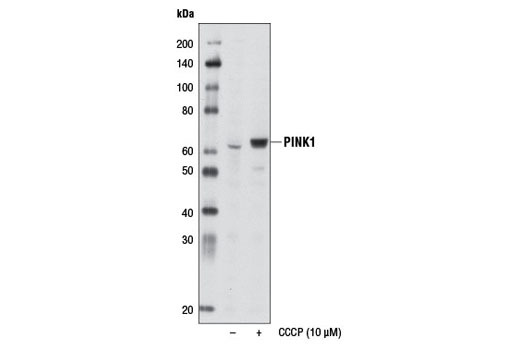 PTEN induced putative kinase 1 (PINK1) is a mitochondrial serine/threonine kinase involved in the normal function and integrity of mitochondria, as well as a reduction of cytochrome c release from mitochondria (6-8). PINK1 phosphorylates Parkin and promotes its translocation to mitochondria (7). Mutations of PINK1 are associated with loss of protective function, mitrochondrial dysfunction, aggregation of α-synuclein, and proteasome dysfunction (6,8). DJ-1 is involved in multiple cellular functions; it has been shown to cooperate with Ras to increase cell transformation, to regulate transcription of the androgen receptor, and may function as an indicator of oxidative stress, while loss-of-function mutations in DJ-1 cause early onset of PD (9-12). Dopamine D2 receptor-mediated functions are greatly impaired in DJ-1 (-/-) mice, resulting in reduced long-term depression (13). Leucine-rich repeat kinase 2 (LRRK2) contains amino-terminal leucine-rich repeats (LRR), a Ras-like small GTP binding protein-like (ROC) domain, an MLK protein kinase domain, and a carboxy-terminal WD40-repeat. At least 20 LRRK2 mutations have been linked to PD (14). 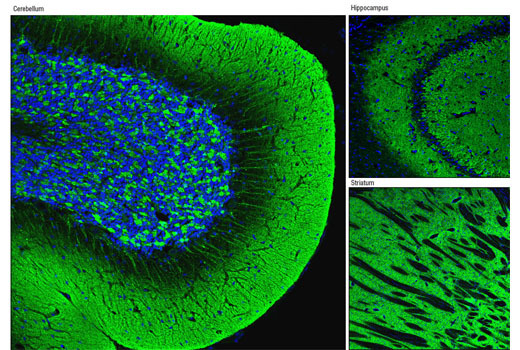 The most prevalent mutation, G2019S, causes increased LRRK2 kinase activity, leading to progressive neurite loss and decreased neuronal survival (15). Polymeropoulos, M.H. et al. (1997) Science 276, 2045-7.